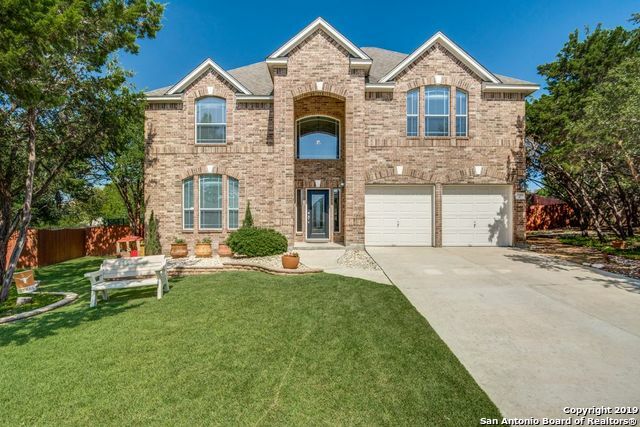 All STONECREST AT LOOKOUT CA homes currently listed for sale in San Antonio as of 04/23/2019 are shown below. You can change the search criteria at any time by pressing the 'Change Search' button below. "The perfect family home! This Stonecrest Stunner, Tucked away in a cul-de-sac, has it all! Natural light shines down abundantly on over 3000 sq ft of soaring ceilings, wood grain tile, & an open floor plan great for family gatherings. Light & bright kitchen features 42 inch cabinets, bay windows, & plenty of counter space. Neighborhood amenities GALORE!Elementary school 1/2 mile.5 min to Canyon Springs Golf Club.NO CITY TAXES. You will love this home!"